Do your trees look overgrown and a little on the wild side? Perhaps they’re strangely shaped, with errant limbs shooting off in all different directions. Or maybe you have a tree with leaves and branches packed so tightly together that your tree is now competing with itself for precious space and sunlight. If you’ve noticed any of these issues (or others, such as bare branches with little to no leaf growth), it may be time to give us a call. 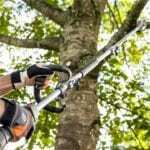 Regular tree trimming is one of the most beneficial services you can provide for not only your trees, but your entire property. Trimming virtually always results in healthy, beautiful trees that don’t threaten structures or power lines, are sturdy and sound, allow more light to lawn areas, and are aesthetically pleasing in form. Trees that haven’t been properly maintained can become a danger to both you and your neighbors, and they increase the risk of injury or property damage. A regular maintenance schedule does not entirely eliminate the possibility of an unexpected break, but it will make your trees stronger, sturdier, and more likely to stand up to the extreme weather that we sometimes experience (especially during hurricane season). High winds and heavy snow loads can present a serious problem for any tree, especially those with poorly maintained limbs. Broken limbs become an entry point for disease and insects, which further wear down already weak limbs and pose a threat to anyone or anything located below. 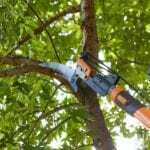 A proper pruning schedule will keep your tree’s canopy appropriately thinned and healthy, decreasing the likelihood of broken limbs, injury, or property damage. 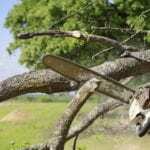 But, should a tree or tree limb fall unexpectedly during a storm we can certainly provide storm-clean-up services. Cleaning – We remove any dead, dying, diseased, or weak branches. Thinning – We selectively remove branches to improve structure or increase light to the canopy. Raising the Canopy - We remove the lower branches, providing right-of-way clearance for walking (or driving) under vehicles or to allow more light and air circulation for improved lawn performance. 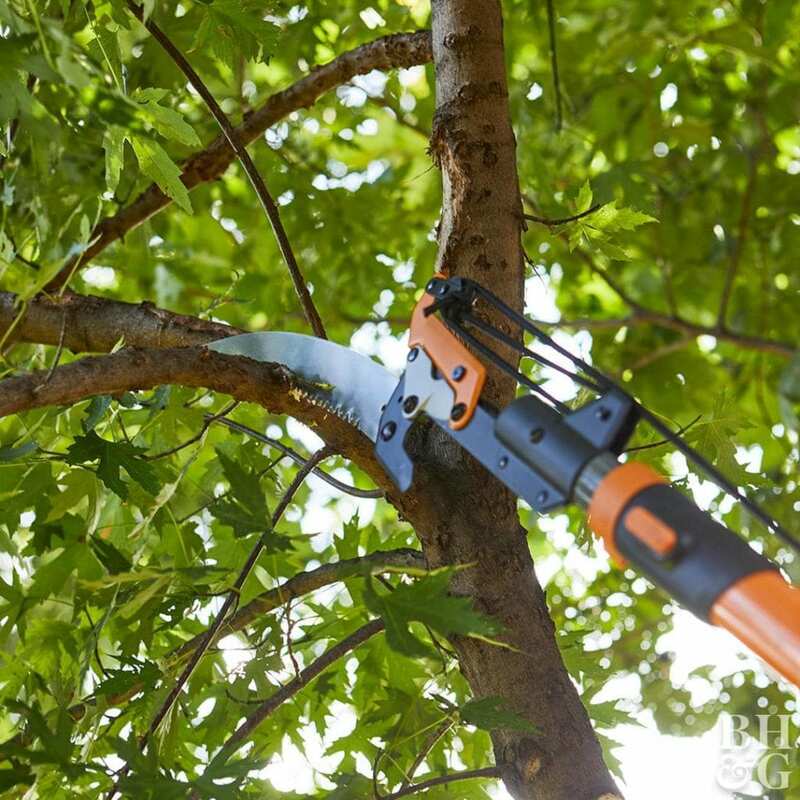 Selective Pruning – We remove select branches to protect windows and structures. Crown Reduction – We typically “drop-crotch” or cut limbs in specially measured increments from the top canopy of a tree to reduce its height. (No more than 20% of the canopy is removed because cutting too much can cause it to die.) 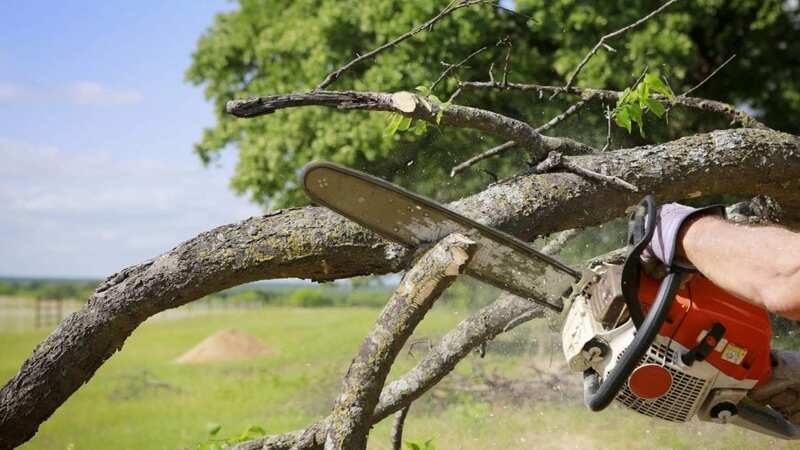 This method is preferred over “topping,” which is essentially cutting off most or all of the tree’s top and generally has adverse health effects. In all cases, the goal is to remove specific branches to benefit the whole tree. Leave Your Tree Removal To The Experts! Whether it’s damaged, leaning, or simply inhibiting a project, sometimes, a tree has to go. That said, tree removal is a serious undertaking that requires the care and skill of professionals. In most cases, the affected tree is dead or dying and already at risk of failure. 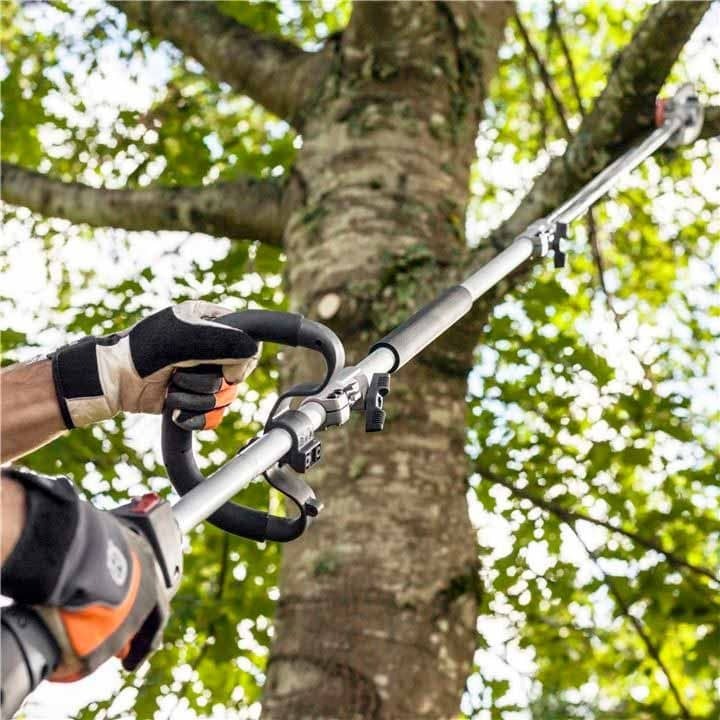 A tree located in a precarious position near other trees, structures, or power lines requires not only skill, but specialized equipment to take it down without causing injury or damage. We will approach your tree removal with the seriousness and care it deserves, and leave your property in tip-top shape before we leave. Dragonfly Landscape Design is a licensed, insured, full-service landscape design, landscape construction, and maintenance company dedicated to serving residents in the greater Westhampton area (Remsenburg, Westhampton, Westhampton Beach, Westhampton Dunes, Quiogue, Quogue, East Quogue, Hampton Bays), the Town of Southampton and neighboring areas. We offer clients a collective 100 years of local plant knowledge and experience. From complete landscape renovations to landscape construction, outdoor living feature installation to maintenance for your property, we deliver outstanding and guaranteed results. 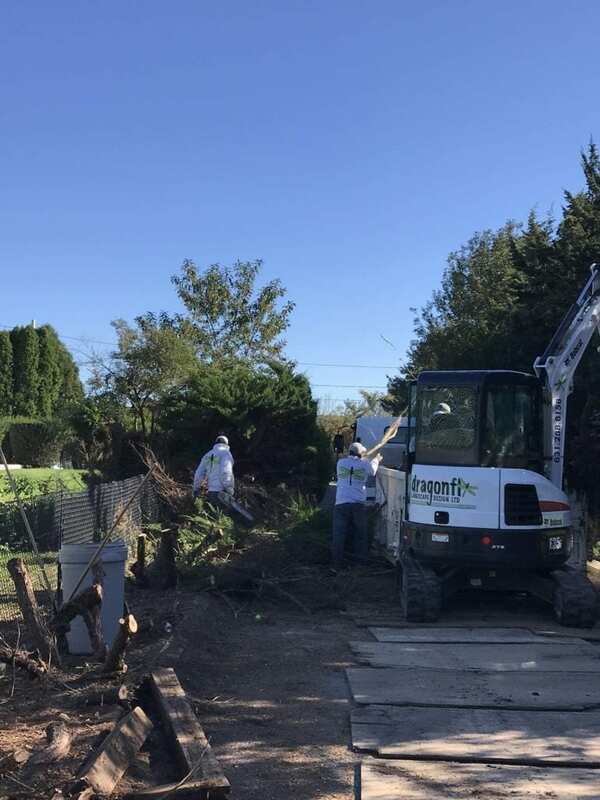 Call us at (631) 288-8158, contact us or email us at info@dragonflyltd.com to get your landscape renovation under way!